Dictionary.com’s Pro app now includes ALL of our content and Upgrades (over 3,400,000 fun and helpful entries) for just one low price. It’s also ad-free! Download the essential and most comprehensive dictionary app for dependable definitions at your fingertips. Dictionary.com is the leading free English dictionary app for iPhone – with over 2,000,000 trusted definitions and synonyms, the Dictionary.com app is designed and optimized for your mobile device. Works offline! 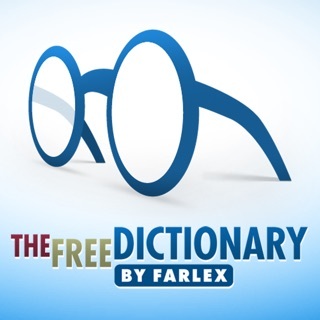 Install the free offline dictionary for access to definitions whenever you need them. - Optimized for Apple Watch! since your last update, the audio no longer works on iphone XS Max, when trying to use pronunciation feature. i’ve been waiting for a new update to correct this feature for several weeks. i have now started looking at other apps that have this feature. up until now, i have used your app for many years without any problems that i can remember. however, this is a very important feature and used very frequently, now rendering the app useless to me fifty percent of the time. please take note. Not so fast there “wrongpants”. Your audio is STILL NOT fixed completely... it does appear to be working on iphone when manual ringer is turned on, however, not when turned to vibrate, such as my phone has always been set to for many years. So whatever you have altered is still not being picked up by your brain trust, which means you are still unaware. These little details are big deals to phone owners who have their phones set up in specific ways. Anyway, this little irritation is so unnecessary. Why fix things when they are not broken? Why post updates when you don’t test basic features? One unnecessary improvement shouldn’t negate basic features. Good luck with all that, there are plenty of clueless app providers out there so your not alone. I use this app all the time, and it’s right at the top of my list of favs (surpassed perhaps only by Blue Letter Bible’s app). I have always loved words, and a mentor once gave me a sage admonition never to use a word I couldn’t define. He insisted it was arrogant. I’ve found his challenge has helped me be more precise in my thinking, humble in my attitude, and appreciative of others’ wordsmithing skills. And it makes learning from others more fun. Well, this program just facilitates all these. In the world of language, it allows for real-time, “point of care” use and learning. I’ve looked up things while in hospital meetings (I’m a physician), while waiting in line, writing emails or other documents, and writing reviews for iPhone apps. I love the etymology tool, as it helps make definitions and nuances easier for me to remember, and the words themselves more vivid & enriching. I suggested the app to my son recently, as I’ve found that regardless of what kind of work we do, communication that shows attention to word usage (as well as grammar) captures people’s attention — and rightly so. If you want to improve your use, understanding and enjoyment of language, I think you’ll find this program very valuable. Strongly recommended! I have to look up words I see or read that I’m not familiar with. It drives me crazy to not know what something means. I have a long list of words to look up and learn which at the time I heard them, I didn’t have time to stop and look up. I like that I can have the words in question voiced to me also. That’s a big help. And it keeps me from embarrassing myself by pronouncing words incorrectly. I rarely pay for a lot of apps that charge you to get rid of the ad’s, but this one was worth it. It’s very easy to navigate when you’re in the app. I just love having a Dictionary in hand whenever I need one. There isn’t a downside to having this.